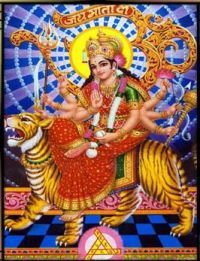 * It is said that ‘there is no great Mantra than Gayatri and there is no great god than the Mother’. "May we meditate on the Glory of the Lord, the Remover of pains and sorrows, the Bestower of happiness, Who has created the universe, and Who is the embodiment of knowledge and light. May the Lord, enlighten our intellect in the right direction by destroying all our sins and ignorance." This can be translated: Aum. Let us contemplate the spirit of the divine of the earth, the atmosphere and heaven. May that inspire our minds. 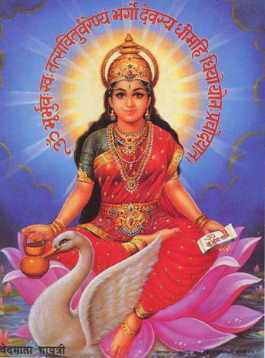 Savitri is the Sun and this mantra is recited at the three junctions or twilight of the day. Here is described how the mantra Om hums in the base or Muladhara chakra, and moves through seven stages to the chakra above the head Sahasrara. The 24 syllables in the mantra are intended to give the following qualities in physical plane. 24 'at' - niranjana - service. Listen to the Gayatri Mantra - OM BHUR BHUVAH SWAHA - Universal Prayer- Chant Everyday For Good Health & Long Life Gayatri Mantra has been chronicled in Rig Veda which was written in Sanskrit some 3500 years ago. 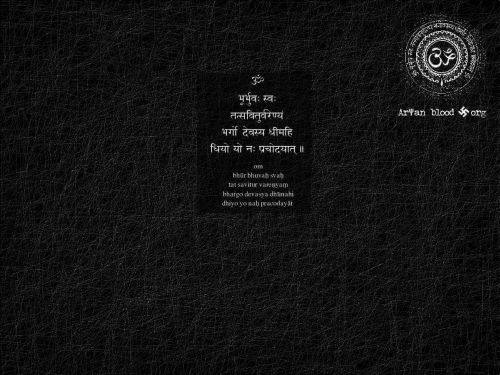 However, it is believed that this mantra has been chanted long before it was recorded in the text. For westerners, this mantra was quite a mystery and even most Hindus couldn’t get the head and tail of it. It was a well-guarded secret from those outside the Hindu-Brahmin community. Today it is chanted and sung around the world with reverence and love. It is akin to Lord’s prayer which holds significance and is quite impactful. It is very soothing and divine in nature and the sounds of it; is healing in nature. Its flowing rhythmic pattern indeed makes it a beautiful part of an individual’s daily Spiritual practice. 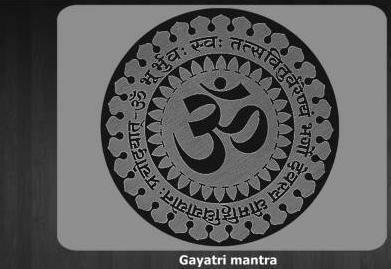 Gayatri Mantra is an earnest and heartfelt prayer to the Supreme being and thus it can be universally applied – the mantra does not see your colour, race, ethnicity, caste, creed, gender or nationality. What really matters is your dedication, authenticity, faith and belief. It sees your intent and your willingness to be moved by the intensity of its power. The ancient Hindu scriptures reveal how the sage Vishwamitra was given the Gayatri mantra as a gift for his years of penance and austerities that he performed. This was not only a reward for Vishwamitra but it was a boon for the entire humanity.